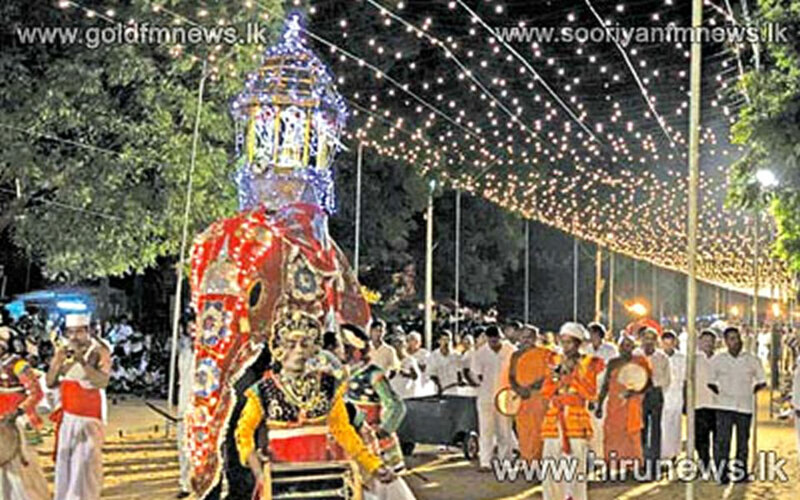 The Sri Lanka Kataragama Perahera or Festival is an annual festival that takes place in July/August in Kataragama, in the Southern part of Sri Lanka and runs for about 2 weeks and is dedicated to the Hindu God of war and wisdom God Skanda known to Sri Lankans as Kataragama Deviyo. 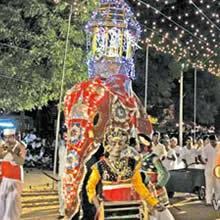 The Sri Lanka Kataragama Perahera or Festival is a procession of elephants etc like in any Perahera in Sri Lanka commences from the Temple of Kataragama, Sri Lanka past the temples of other Gods to the Temple of the aboriginal jungle goddess Valli Amman. 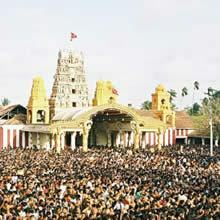 Devotees (Sri Lankans and tourists) of all religions join in the festivities including the aboriginal Veddahs of Sri Lanka. 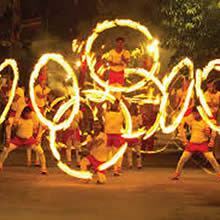 They cleanse themselves in the Menik River, Kataragama, Sri Lanka and make their offering to the shrine. 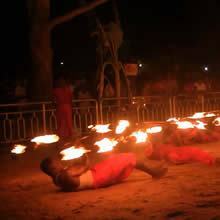 Some Sri Lankans perform excruciating acts such as swinging on hooks pierced to their skin, some roll barely clad on hot sands near the temple and some Sri Lankans tread on red- hot embers. Kavadi (burden) Dancing is the dance of the peacock, the vehicle of God Skanda. The prop used for the Kavadi (burden) Dancing is a 2 piece arched structure attached to a cross pole and can weigh up to 30 kgs. 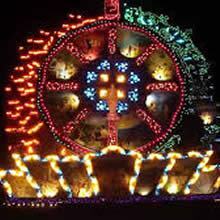 This is done to demonstrate the devotees’ (Sri Lankans’) gratitude in return for vows made or favours sought. 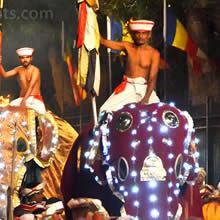 We can tailor-make programmes to Sri Lanka according to your requirements to include the Kataragama Perahera or Festival along with other sights like Culture, Nature, Wildlife, Archaeology, Beach stay and even a game of golf if interested. The season for the beaches in Sri Lanka in July/August is on the Eastern coast of Sri Lanka like Nilaveli, Trincomallee, Passikudah, Arugam Bay to mention a few. However the beaches on the Western Coast of Sri Lanka like Unawatuna, Hikkaduwa, Bentota, Ahungalla to mention a few are also pleasant at this time of the year.